It’s a new year, and resolutions abound. It’s hard not to feel energized by this goal-setting spirit, which can make you eager to set your own resolutions. Perhaps you’ve been inspired to put goals in place to help you lose some weight and lead a healthier lifestyle all around. It might seem intuitive to work out more and eat a varied diet full of healthy foods to reach those fitness goals. And yes, those are great resolutions. But you could be overlooking one very important resolution: to get more sleep. 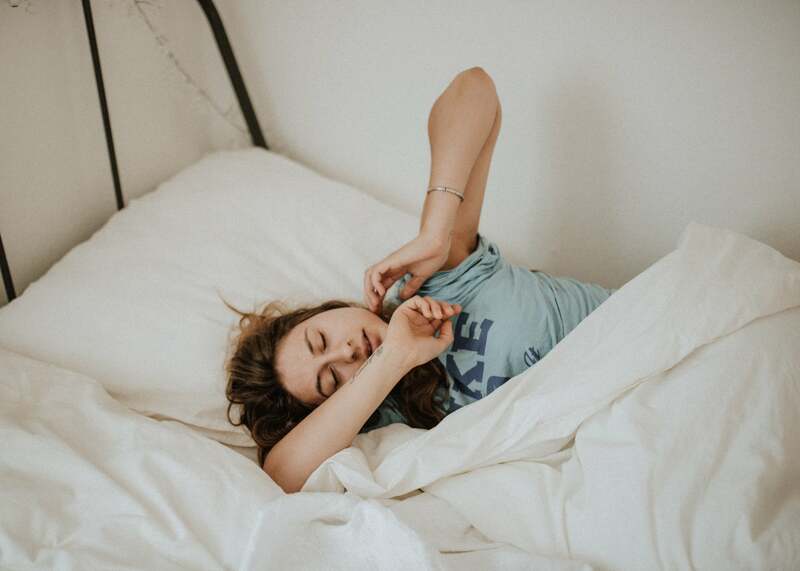 Sleep is often one of the last things people tend to think about when it comes to setting goals to help lose weight and become fitter, but it’s actually crucial for healthy living. Here are some shocking ways in which sleep deprivation can lead to weight gain and hinder your fitness resolutions as well as solutions to these issues. If you regularly get less than seven hours of sleep per night, your body will produce increased amounts of cortisol, a stress hormone. The increased presence of cortisol sends your body into a catabolic state, encouraging muscle breakdown and fat storage, which won’t aid your weight-loss efforts. 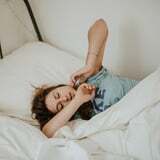 “When our body is under stress, its priority is very clearly for us to survive,” says Christine Hansen, FDN-P, CSSC, nutritional therapist with Sleep Like a Boss. She explained that cortisol makes our bodies go into emergency mode, triggering processes to store fat so that we have reserves to draw on. And while this mechanism definitely has a purpose, it’s not especially helpful when you’re trying to shed a few pounds. Another unintended negative consequence that lack of sleep brings is a desire for food – the sugary kind, in particular. It’s necessary to get a good amount of sleep because it helps regulate your hunger hormones, ghrelin (which stimulates your appetite) and leptin (which diminishes appetite). Low ghrelin levels and high leptin levels are good for weight loss, but when you deprive yourself of sleep, the inverse of that happens: your ghrelin levels rapidly increase, causing you to feel hungry, and your leptin levels start to fall, which makes it hard to fight off the feelings of hunger. Eating right is an essential part of any fitness regimen, so if you’re constantly battling cravings, you could be slowing down your weight-loss efforts. Weightlifting is an effective, proven method for weight loss. However, your workouts could be suffering from a lack of sleep. Sleep is a period of rest for your body, allowing it to repair and recover from the day. Our bodies release natural growth hormones as we sleep, aiding muscle growth and repair, fat burning, and even bone building. Poor sleep means your muscles won’t be able to undertake that much-needed post-workout recuperation. Mentore further explains that if you miss this initial release from lack of sleep, the amount of growth hormone released is significantly reduced. This means that all the benefits you get from recovery during proper sleep, such as building lean muscle and burning fat, are hindered. It’s frustrating to think that the results of your challenging workouts could go to waste. So what solutions can you put in place to get more sleep and ensure that you’re supporting your weight-loss efforts? Here are a few to get you started. Furthermore, the blue light emitted from electronic devices such as cellphones suppresses melatonin production. Melatonin is a hormone that signals to your body that it’s time to go to sleep, so a deficit could make it much harder to catch some shut-eye. Take a hot shower. If you find hot showers relaxing, that’s because they genuinely are – and they can help you sleep better, too. If it’s hard for you to unwind at night, tossing and turning for hours, take a hot shower an hour and a half before bed. Hot showers aid your sleep because your body temperature rises during the shower and then rapidly drops once you step into a cooler room. This experience sends you into rest mode, making you feel sleepy as your body starts to slow down its metabolic activities. Practice gentle nighttime yoga. Yoga is a calming, centering practice that can also help you sleep better. A study from Harvard Medical School found that daily yoga can help with sleep efficiency, the amount of time spent asleep, and the amount of time it takes to fall asleep. While there is still limited research linking yoga and better sleep, it is a worthwhile practice to take up that can still your mind and ease any aches and pains you may be experiencing. Try out this calming yoga sequence to wind down before hitting the hay. If you’re serious about losing weight, it’s time to start paying attention to your sleep. Apply these tips tonight to stop the cycle of chronic sleep deprivation and kick your fitness resolutions off right.